When it comes to putting together a list of the best travel movies, which should make the cut? Should it include movies like Eat, Pray, Love or Into the Wild where the protagonist is largely, well, travelling as a traveller? Or should it include movies that focus on a sense of place first and foremost, like the beautifully shot love letter to Japan that is Lost in Translation? Then again, should travel be incidental to the whole thing, with an exciting plot carrying us forwards through stunning scenery that as a byproduct makes us want to travel somewhere? I’m thinking of the golden fields in Gladiator or pretty much any James Bond movie when it comes to that. Today’s blog post comes as part of a partnership with Travel Republic, who have chosen a slightly different theme: the concept of paradise and where you can find it. But what about that best travel movies list? Largely, I combine the two: watching a lot of travel movies while I’m actually travelling. Mostly on flights but occasionally, these days, downloaded onto my phone. So. I thought I’d reflect on those films that inspired me to travel. Or that helped to put the places I visited into a deeper context. And then, for fun, I thought I’d put together a list of the worst travel movies of all time. The ones that make you want to run for the hills and never return. This curious exploration of women’s lives in and around Madrid opens with an unpromising start: the cleaning of graveyards while the wind whips around. However, its colourful, kooky and characterful depiction of village life away from the tourist sites brings a deeper perspective to travel in Spain. While the book Wild Swans fuelled my desire to visit China, like many, it was Lost in Translation that opened my eyes to travel in Japan all those years ago. The shops above the Shinjuku crossing in Tokyo now have lines of tourists queuing to try to get the same shot. And while the viewpoint is from the “outsider” rather than from locals, the way it’s shot is so authentic that I’ll let it into this list…just. Yes, I know. Obviously this isn’t a film about the beauty of Krakow. It’s about the opposite. BUT it brings to life this period of history in a profound way. While a visit to Auschwitz is memorable in its horror, more unsettling still is recognising the street scenes of Krakow from the film Schindler’s List. To my mind, it’s the slow, early path towards genocide that we need to be vigilant for, before things get too difficult to stop. Plus, seeing the white curve of Schindler’s Factory in the film provides that brief sense of hope when you recognise it on the ground. But it does highlight the amazing floating opera festival in Bregenz, Austria, as Daniel Craig dangles over an iris in the open air. Bregenz itself prides itself on its arts scene and natural scenery (it sits on the edge of the 63 km long Lake Constance or Bodensee) yet is still rather unappreciated by the world at large. This film goes some way towards fixing that. Never has Scotland looked more unwelcoming. Brutal, ugly, terrifying. But surprisingly warm. Ignore, ignore, ignore and travel there anyway! There are plenty of other things to do in Edinburgh. Grey, grim and with mirrors following you around in a skin-peeling frenzy. Happily, you can avoid all that and enjoy these iconic spots in New York instead. The curious abandoned city of Gunkanjima near Nagasaki makes for our villain’s lair in another Bond travelling extravaganza. While it’s not a cosy place to visit, you won’t be made to shoot anyone in the head and the nearby Nagasaki is an exciting, friendly, interesting place. Go there! Yikes! Kids, if you haven’t seen this classic, make sure you have not a single outdoor plan afoot for at least a year. And stay away from banjos. Luckily, you can head kayaking in Alaska instead and swap people for cheeky seals. What do you think? 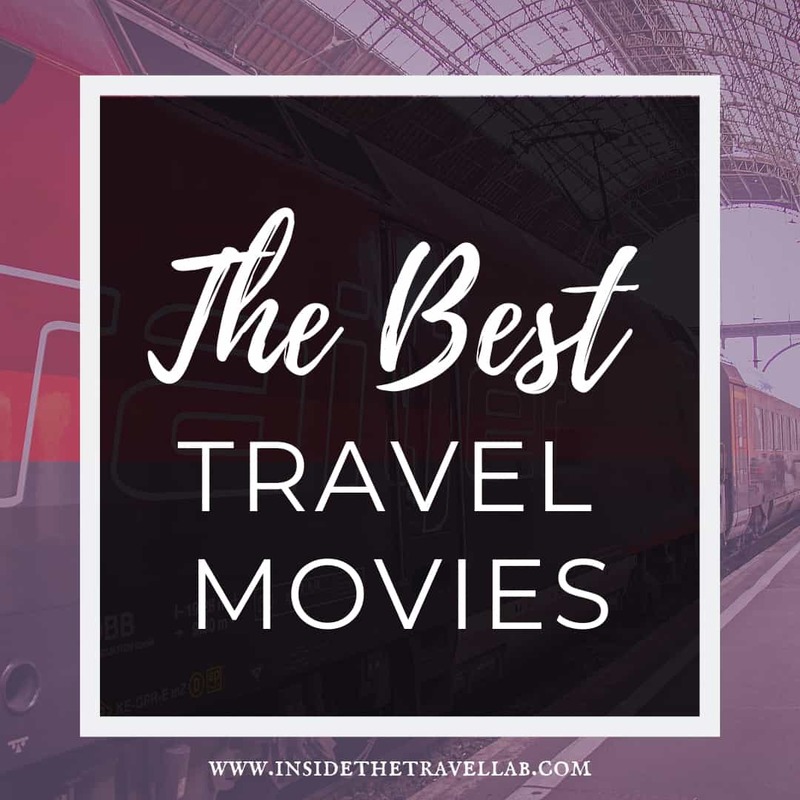 Which are the best travel movies of all time? And which are, well, the worst?! This post was put together as part of a partnership with Travel Republic. As ever, as always, we keep the right what we like here on Inside the Travel Lab. Life’s just too short to do anything else! I guess I’ll be watching Volver tonight!